Elixir® craft distillery, founded by Italian brothers Andrea and Mario Loreto in Eugene, Oregon, is dedicated to revivifying traditional spirits in the Italian tradition using the finest all-natural ingredients. All of our spirits are composed of pure McKenzie River water, neutral spirit and selected botanicals. One of the cleanest streams in the country, the McKenzie River originates from seven springs in the west slope of the Oregon High Cascades, an historic volcanic mountain range in central Oregon. Snow melt and rain water slowly filter through one thousand-meter thick basaltic volcanic rock for between five and sixty years before joining the river, thus ensuring that the water is wholly pristine. Unspoiled McKenzie River water is only half of the story, however. At Elixir®, we use the purest neutral spirit, filtering it several times through activated charcoal and crushed lava rock and ultimately running it through specialized copper tubing to eliminate any remaining impurities. Our time-intensive filtering process is worth its weight in gold: our distinctive process successfully strips the spirit of its “fire” while preserving its natural warmth. At Elixir®, we create our liqueurs in small, handmade batches. We carefully test each batch prior to bottling to ensure that the artful array of barks, spices, and flowers has matured into a perfect mosaic of flavors. The result is all-natural artisanal liqueurs of rare purity and inimitable flavor. 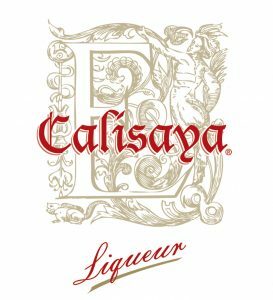 Calisaya is named after its main ingredient, cinchona calisaya. Cinchona calisaya is a Peruvian shrub brought to Rome by missionaries in 1632; it was originally used in medicinal liqueurs to combat malaria because of its high quinine content, but eventually became a favored liqueur throughout Italy as well as in the pre-Prohibition US. Iris takes its name from its main ingredient—genuine iris root. Iris root is legendary for its delicate, violet-like scent. For centuries, Florentines cultivated iris plants in their vineyards to enhance their wines, and used iris root infusions to make floral liqueurs. The precious iris (fleur-de-lis) serves as the official emblem of Florence and the aristocracy even today. Our Fernet dei Fratelli Loreto is a family recipe handcrafted by an Italian distiller at Elixir artisanal distillery in Eugene, Oregon with assistance from his brother who still lives in their hometown of Florence, Italy. Together, the brothers have gathered the world’s finest Pacific Northwestern and European botanicals to craft an authentic fernet of surprising aromatic nuance and bold herbaceous and floral notes. Caffe’ corretto is like no other coffee liqueur: it is strong, intense, minimally sweetened, and made of all natural ingredients. Please contact us, we are looking forward to hearing from you. Elixir distillery is located in Eugene, Oregon at 1050 Bethel Drive. All are welcome to come visit and sample our liqueurs. Please call us at 541.345.2257 to schedule a visit. For postal correspondence, you can reach us at 105 Deer Valley Drive, Eugene, Oregon 97405. © 2017 Elixir, Inc. Eugene, Oregon - Elixir®, Calisaya® and Iris® are registered trademarks of Elixir, Inc.